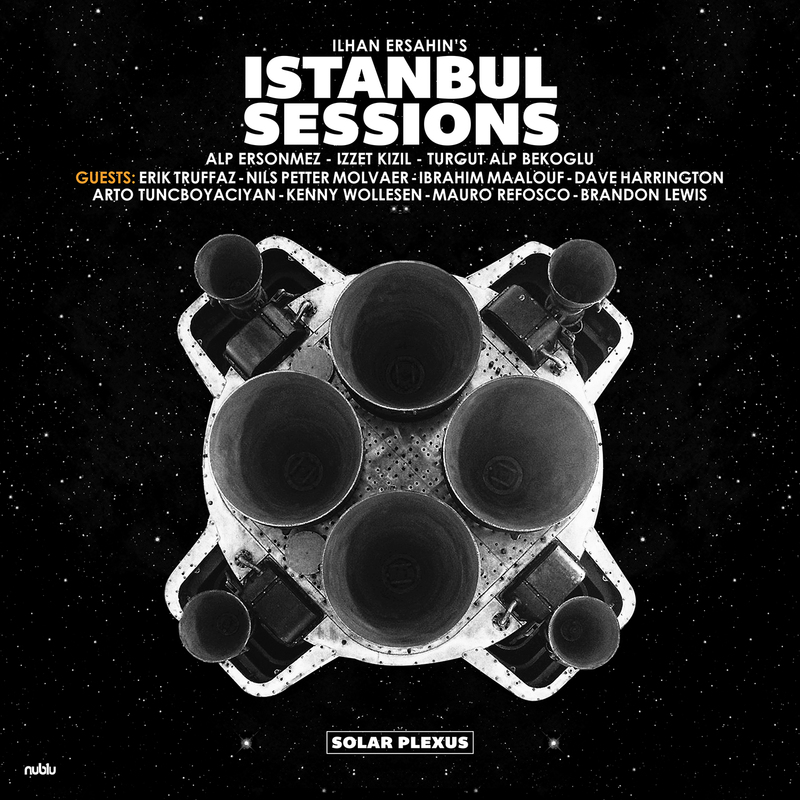 Step in ‘Solar Plexus’; the fourth in the Istanbul Sessions series, released out of Turkey on Neblu with now familiar names on board in Erik Truffaz (trumpet), İzzet Kızıl (percussion), Turgut Alp Bekoğlu (drums), Alp Ersönmez (bass), Ibrahim Maalouf (trumpet), Kenny Wollesen (drums) plus Nils-Petter Molvær (trumpet), Mauro Refosco (percussion) and Brandon Lewis (drums) [not to be mistaken for saxophonist James Brandon Lewis] – aren’t you glad you were taking notes – with 10 compositions over the double vinyl album and CD releases. “Inspired by the likes of 2001: A Space Odyssey and the original Blade Runner” is what we’re told – the photo on the album cover not giving that away – with ‘Jupiter Window’ featuring the unmistakable trumpet work of Maalouf taking us into space itself, and from which the group develop the theatre. This is not so much a film score sound but more a contemporary jazz one. ‘Love in Space’ maintains the theme of the album with electronic effects overlaid, but this is about the saxophone and drums and their evolvement through the piece and exciting, unlike much under the contemporary umbrella in 2018. Yes we have more powerful pieces here. ‘Pris’ drives hard and keeps one’s attentions through the entire piece, and the longest, at over 11min, on the album. The star of the show is ‘Arrival’, a fierce tour de force with funky groove throughout and as creative as 2018 gets. Not only would this be serious club material on the turntables of the DJing fraternity but one which heard live must wow every one of the senses. Not just great, but contender for track of the year great! How on earth their Ronnie Scott’s visit this June escaped me is still a bone of contention.